Amiplex is one of six unique nutritional innovations specifically developed by our in house Nutritional Innovation Centre (NIC). The nutritional innovations are designed to provide sows with optimal nutritional support at all stages of their reproductive lifetime. Amiplex ensures the sow receives the optimum profile of essential amino acids, expressed as standard ileal digestibility. 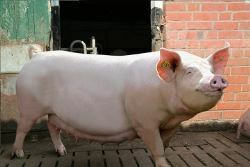 Amiplex is a critical component of the both the NOVA Gilt Diet and NOVA Sow Diet Range. How does Amiplex work for the Sow and Gilt? Amino Acids are the building blocks for all proteins including those in the gastro intestinal tract, embryos and the developing foetus. Amiplex is applied to ensure the efficiency of the overall reproductive cycle is maximised. The correct profile of Amino Acids is critical in supporting the growth and development of the Gilt, and is important in the development of the Gilt’s reproductive organs to ensure the new mother is suitably prepared for first service, pregnancy and lactation. Amiplex also plays an important role in meeting the Sows nutritional requirements, helping ensure optimum body condition during pregnancy and after lactation. The correct profile of Amino Acids plays a key role in ensuring the sow produces high quality milk production to support her litters. Positive impact on Gilt body and skeletal development. Improves gilt retention in the herd. Helps produce high quality milk and colostrum which leads to heavier litters. The optimum profile of essential amino acids meet the genetic potential of your herd and helps ensure productivity is maximised.